It’s amusing to hear comparisons of your own music. What I notice is that any comparisons drawn are almost always connected to what the listener has stored in their preferred music box. “Oh, you sound like Television,” or “Your music reminds me of The Caulfields.” On a first listen that is bound to happen. We all do it. But there is so much more going on to create and produce music, especially in a band setting where influences and inspiration are bouncing off the walls. 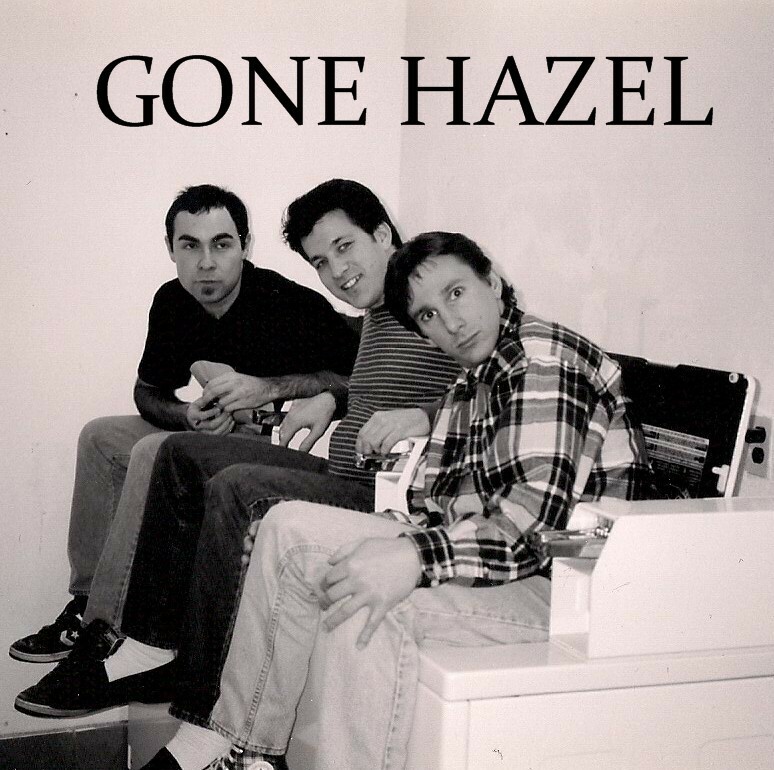 For Gone Hazel, we’ve been doing it for so long that the influences are buried deep and what may be thought of as direct influences are actually sonic similarities. Simply put, a performance on an acoustic guitar brings across a very different listening experience than a full band plugged in. Our electric sound in the studio was characterized mainly by two features: overdubbed guitars and harmonies. From 1996 to 1999, Bob and I sang together whenever we could because we agreed it was too easy (& lazy) just to have the songwriter sing their own song. Harmonizing added a layer that we and our audience enjoyed. The harmonizing began when Bob and I wrote our first song together called Uh Was a Hound. Since Bob had written most of the music, he sang lead. I suggested a harmony on top for the verses, like the Everly Brothers. Then Bob sang solo on the middle section and it was complete. A lightening creation. But that’s not all that’s going on. Bob often lamented that there were hardly any cool guitar-riffs in rock music at the time so for Uh Was a Hound he also wrote a riff. The problem was, at least for Bob, I didn’t play it exactly the way he played it. The notes in the original riff were even eights while I added a pull-off. So the riff and the way I played the riff was another feature of the song. Then there’s the bridge. We came up with that music in Tim Woodger’s basement. It probably took ten minutes. One of us suggested a 6/8 rhythm to distinguish itself from the Joe Jackson/Elvis Costello new waviness circa 1978. That 6/8 rhythm is one of my favourite parts of the song. And Uh Was a Hound has a lot of parts, all squeezed in under two minutes. Squeeze might also be an influence. Anyway, forget all those influences – already we were becoming Gone Hazel. Plus, being the only guitarist in the band, I couldn’t pile on the layers in a live performance like I did later on in the studio where the song really took off. Although there’s more going on (like the lyrics) I’ll stop with the analysis now. You can make your own mind up by listening to the full studio recording and an acoustic rehearsal of Uh Was a Hound. Is it bits of inspiration that I shared above or the combination of other unconscious elements when Gone Hazel first put the song together? Does it really sound like Television or the Caulfields or Taylor Swift because that’s what you’ve been listening to?